When deciding to send your child for a boarding school education, one of the more important elements is knowing how much the overall cost would be. A school that cost more, usually comes equipped with state of the art international facilities. This can come in the form of having a complete equestrian centre to a list of alumni of the world’s royalty. This list will help you identify the schools by tuition fee to help you decide which school would be the perfect environment for your child. The UK has some of the best boarding schools in the world, and unsurprisingly, is something that comes at quite a high cost. Students who attend these boarding schools open themselves to an opportunity not afforded to everyone, setting them up with a solid foundation. This may happen through the high level of standard expected from the schools, to the alumni network which is built throughout their education. 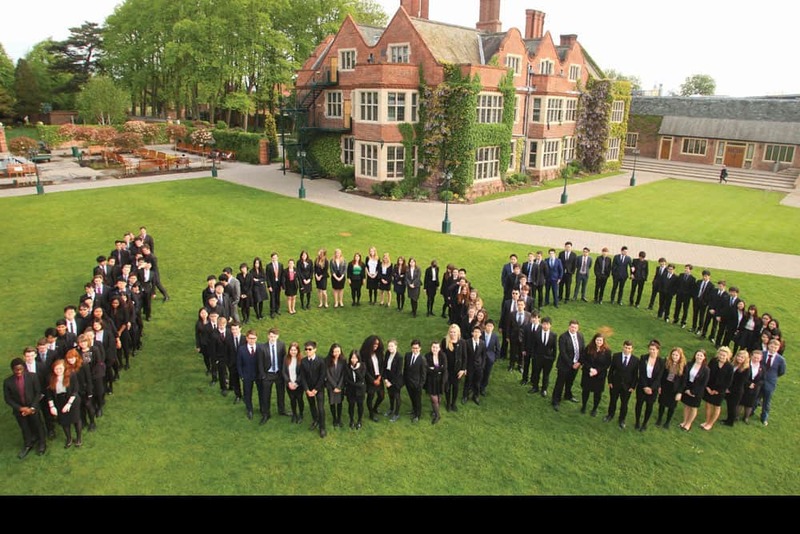 Acknowledged as one of the most academically prosperous independent co-educational schools in the North of England, Queen Ethelburga scholastic credentials are supported by the 98% of their student body who graduate to some of the top universities throughout the country. The Queen Ethelburga’s College is known for their approach of working on issues before needing addressed from parents, making it one of the most proactive study environments. Cheltenham Ladies’ College is world renown for their teachers who have a high commitment to providing high-quality education by instilling self-motivation, intellectual curiosity, and enthusiasm. The College is very large and expanding all the time which means that girls can choose between many subject areas, discussing choices with their tutors. Class sizes are small, and girls are encouraged to be active members in every lesson, by debating, challenging and developing their personal attitudes and opinions. Originally founded in 1553, the School moved to its present privileged site in the mid-19th century. At Tonbridge, they take special pride in their renewed chapel and its beauty and calm. Boarding is situated in solid Victorian houses. Younger boys are accommodated in functional four-bed rooms, whereas older boys have two-bed rooms. The School’s 150 acres, situated next to the town’s main street, are private, secluded, but at the hub of things at the same time. Founded in 1572, Harrow School revels in its reputation as an all-boys public school. No fewer than seven British prime ministers have been Harrovians, as well as the first prime minister of India, Pandit Nehru. As well as having highly qualified academics on its books to teach students, there is also a super-curriculum in place which focuses on aspects of study that are not formally assessed. These include habitual reading, independent research, reflection and debate. The foundation of the curriculum is the electives system, which allows boys to select an intellectually challenging course that is off-syllabus and taught in small groups. At the centre of these courses are independent learning and problem-solving. Located in Winchester, Hampshire, College is an independent school for boys and has a tradition spanning over 600 years. It is one of the oldest schools in the UK and one of the only four remaining independent schools where all pupils are boarders. The College is situated on extensive grounds spanning 250 acres, and it also oversees much of the surrounding land. Charterhouse is a co-educational school founded in 1611. It has a long history but is also dedicated to pioneering educational progress this century. Charterhouse accepts boys at 13+ and girls at 16+. The majority of the School’s 800 pupils are boarders. Charterhouse values intellectual development, and offers an impressive array of extracurricular activities, as well as excellent pastoral care to pupils. Roadean is an independent girls’ school situated in Brighton on the English coast and sits in its beautiful sea-front grounds close to the city marina. The school has a one year Pre-A programme for students at GCSE level for international students with core subjects, and a programme of English language support, the aim of which is to improve and develop grammar, pronunciation, listening, writing and reading, and general fluency. This comes with preparation for students wishing to take IELTS at a later date. Pride of place must belong to the Dame Emmeline Tanner library, which is not the only such facility – there are two more libraries within the school, one of which is primarily a research library with 2,000 research books available – which houses over 20,000 books, CDs and DVDs. Library staff are comprised of librarians and assistants. As one of the most famous schools in the world, Eton has outstanding facilities for music, design art and drama. Its seemingly unlimited sports provision now includes the Thames Valley Athletics Stadium, which is shared with external clubs and organisations. Eton also has a rowing lake at Dorney, venue for the 2012 Olympics. Combined The Duke of Edinburgh’s Award Scheme is growing in popularity, while more than 200 speakers address society meetings each year. Wycombe Abbey is one of the UK’s leading boarding schools and the top girls’ boarding school based on academic results. The founding Headmistress, Dame Frances Dove, dedication to the pursuit of excellence and the development of each pupil’s character and individual talents forms the foundation of Wycombe Abbey’s long, distinguished history. This serves as a guide for the School even to this day. Founded in 1923, Benenden School lies in the heart of lush Kent countryside, with a vast 240 acres of field and forest in its possession. The School mostly comes in the top 50 independent schools nationally, and occasionally in the first 25. Small classes and a favourable teacher-student ratio ensure students’ academic development is at a maximum. These schools above are some of the most expensive in the world, and it should be no surprise that schools at that cost will come with a certain level of expectation. These schools have a long history and reputation of being the top of the top, not just because of how much a semester may cost, but its overall faculty, educators and facilities. Most alumni from these schools also result in lifelong friendships that can help benefit and sustain fulfilling lives, be it academic, business or personal. Contact Britannia StudyLink today if you’re deciding to send your child to one of the schools above. We can give you the best advice that will be the best choice that will suit your child’s educational needs.